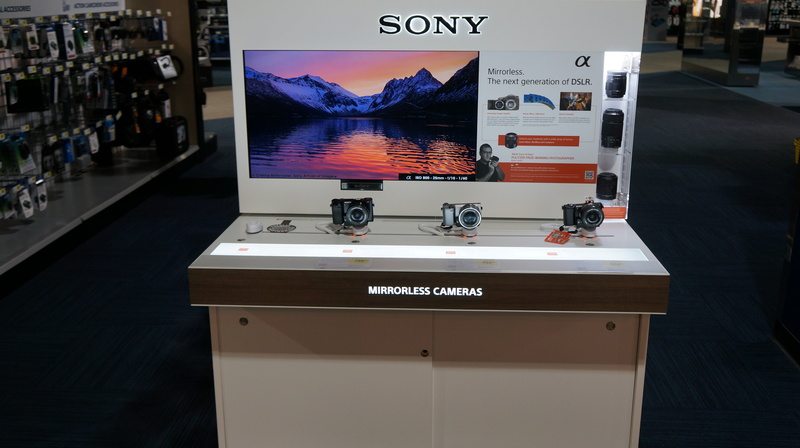 Overview: New digital imaging store layout called the Camera Experience Shop in which Sony participates with their own freestanding display able to assort ~18 SKUs plus additional camera lenses. 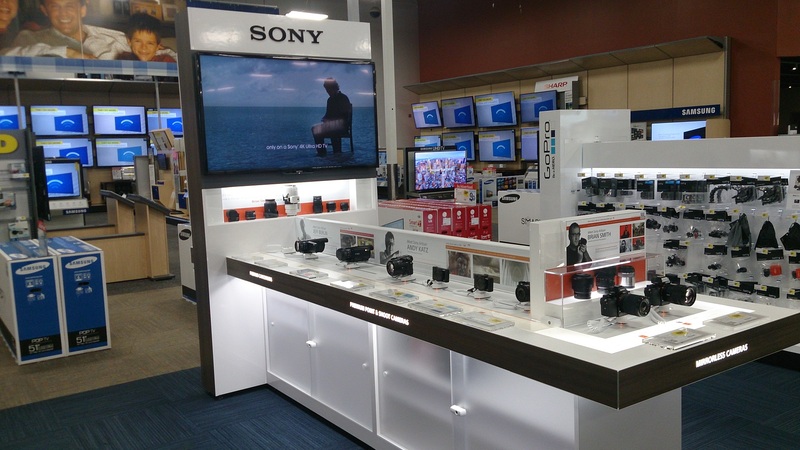 Best Buy launched 6 pilot store locations with the participation of Canon and Nikon, in addition to Sony, with the objective of competing with camera specialty shops that historically have a wider assortment and deeper knowledge of premium and DSLR cameras. Channels: Best Buy stores, 6 locations (Denver, CO; Schaumberg, IL; Downers Grove, IL; Boston, MA; New York; NY; Alpharetta, GA). Project Role: This project was transitioned to me during the installation of the display. I took over as project lead to see through installation and repair & maintenance (R&M) plan. I worked with the display manufacturer (AGI), security vendors (InVue and MTi), print vendor (The Bernard Group), and creative agency (Catapult) to finish display execution and gather feedback from the shopfront to prepare for graphic refreshes as new SKUs have been added to the display and in anticipation of Best Buy expanding this experience to additional locations. Results: Shopper feedback has been extremely positive since the launch in April 2014 with anecdotes that customers didn’t realize Sony had such a wide assortment of premium interchangeable lenses. Sony’s credibility in the digital imaging category is greatly improving as a result of this new freestanding display. 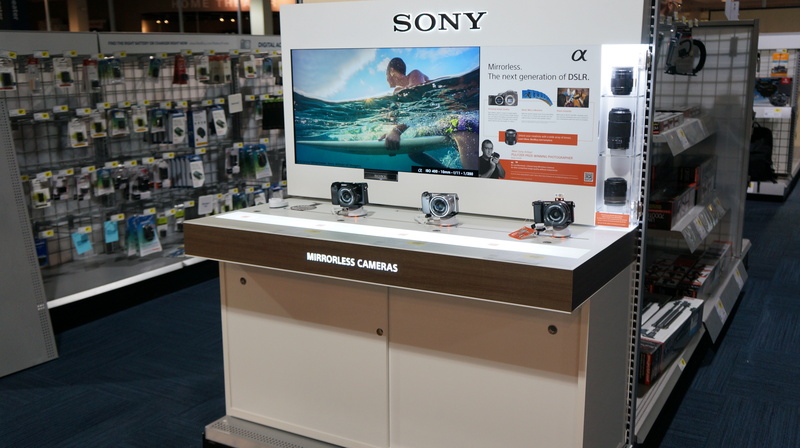 Overview: Interchangeable Lens Camera endcap display in Best Buy stores featuring 3-4 Sony alpha models and lenses. Display includes graphics (magnetic and backlit), HDTV monitor with video loop, product video buttons, and lens accessory museum case. Nine different versions of the display were built in total (3 different assortment variations on 3 different store endcap base decks). Channels: Best Buy stores, all locations (1,000+). Project Role: Project lead, gathering display requirements, working with display manufacturer (AGI), security vendor (InVue), and creative agency (Catapult) to evolve display & messaging strategy for the shopfront, and coordinating internal feedback for review and build (from prototype to production). I also coordinated requirements and approvals externally with the Best Buy retail operations team and managed the install and repair & maintenance (R&M) plan. Results: Deployment has just commenced with an anticipated completion at the end of July 2014.